This outdoor wedding near West Chester, Pa shows off a fun new unique tradition. 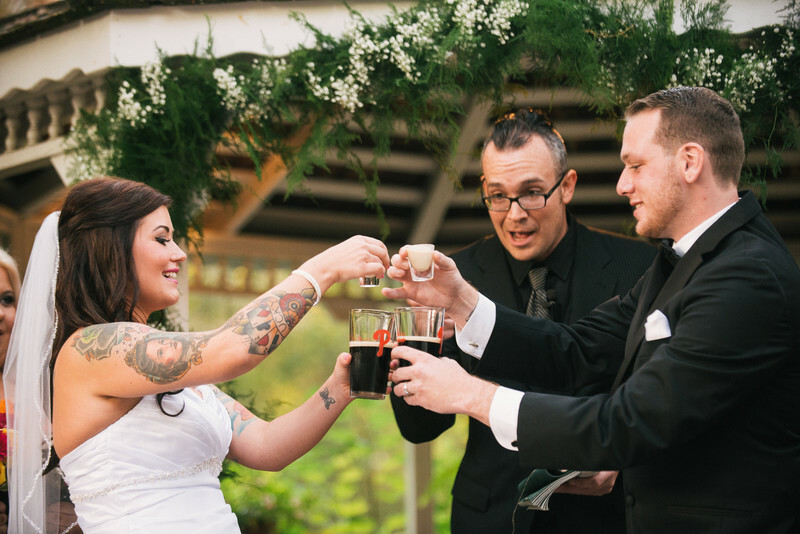 Have you ever thought about doing an Irish Car Bomb on your wedding day? Neither did I until I saw this couple make it happen. The officiant ended up finishing part of the bride's drink. Even if it's not your cup of tea as they say, you have to admit this wedding tradition takes the cake for being unique. Want us to photograph your wedding? Just shoot us a message on the contact me page.